The State of Texas Assessment of Academic Readiness (STAAR) testing program for students in 3rd – 12th grades indicates the student’s strengths, weaknesses and areas for remedial instruction. The STAAR End of Course (EOC) assessments given in high school are now a graduation requirement. 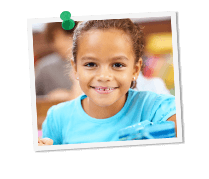 Grade Potential’s tutors help students perform well on these rigorous tests in all subjects and at all grade levels. At Grade Potential, our personalized, one-on-one STAAR tutoring begins with an academic assessment to determine the student’s current level of proficiency. Then we create a highly customized method of instruction tailored to each student’s academic needs and learning style. Grade Potential tutors are experts in this testing program. We help your student learn the subject matter — from reading and writing, to science and math. And just as important, we help each student feel prepared and confident to do his or her best work.